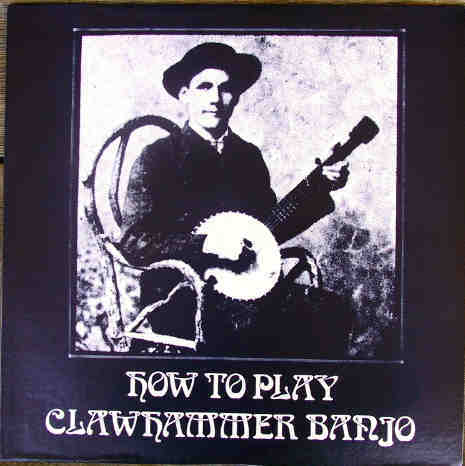 NOTE: To view or print the booklet, which contains instructions plus tablature ("TABS") of all the original tracks of tunes, songs and exercises, you will need access to a computer whch can read standard CD-ROM discs. Alternately, for an additional $5 ($8.50 foreign), a copy of the booklet on loose-leaf sheets will be sent with the CD. System requirements - please READ this before buying! 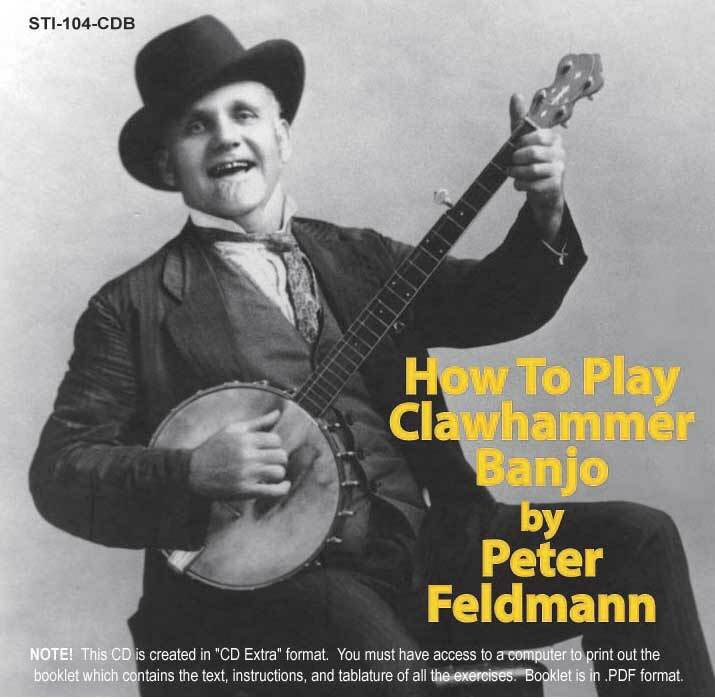 "Peter Feldmann's How To Play Clawhammer Banjo is about to put many of us who teach banjo, especially clawhammer, out of business. In one album-and-booklet package, Mr. Feldmann has given even the barest of musicians food for chawing. I wish I had known of his instructional package sooner because it has certain advantages that other so-called 'personal instructor series do not have. "If you can hear the music and read the simple tab system, you have as good a chance to learn as you would by paying for a regular half-hour lesson. The only thing you'll need is the discipline to sit down and learn. Wayne Shrubsall, Banjo Newsletter, 1975. On-line Purchases accepted via PayPal (below) or by check or money order, payable to Blue Dalmatian Productions. Price is $19.50 plus $2.50 shipping / handling. Calif. residents, please add $1.51 sales tax.